*Please review list of what tuition includes and does not include in the Tuition & Fee Schedule. While a private school education is often desired by Christian parents, many do not believe that it is financially attainable. While this may be true in most states, Arizona is different. The Arizona Private School Tuition Tax Credit, passed into law in 1997, can make private school possible. Tax credit scholarships help 84% of our families at Pusch Ridge Christian Academy. While some scholarships have requirements including financial need, the Individual Tax Credit is an avenue for any family seeking tuition assistance. We encourage families to learn more by attending a Tax Credit Workshop, which are held July through March and open to current and prospective families. Other scholarships that help our families include: corporate low-income scholarships, disabled/displaced scholarships, and Empowerment Scholarship Accounts. 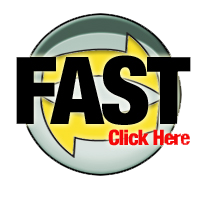 Apply online at Financial Aid and School Tuition (FAST) by clicking on the FAST button. The cost is $45 per family and can be submitted starting February 1. For maximum consideration, apply by July 10. Once the application has been processed by FAST, PRCA will notify the family of the financial aid results. Please note that FAST has no money to allocate; they are simply a qualifying organization. Schools use their results as a guide when awarding financial aid. For questions about the application, call FAST at 877-326-3278. Complete an ACSTO application and begin to ask family and friends to make tax credit donations to recommend your child. Apply to additional STOs (School Tuition Organizations) which may include ASCT, IBE, APESF, School Choice Arizona and Arizona Leadership Foundation. For a complete list of STOs, go to www.azdor.gov. PRCA is not informed of the source of any gifts from STO organizations. Please let us know if you are recommending PRCA for a gift through an STO, as that information is not disclosed to our school. Please contact me to set up a meeting to address any questions or concerns you may have. I look forward to helping your family afford a Christian education!